If you are in Milan in April, you can’t miss the Salone Internazionale del Mobile 2011! From 1961 for 50 years this event has brought the future of design into the present, shaping with its events the very soul of the City of Milan. Looking for and mirroring the trends of yesterday and tomorrow is also “La Triennale di Milano” (Triennale Design Museum), a famous collateral event of the Salone del Mobile, with massive and intense re-shaping and re-thinking of design and contemporary culture in all kinds of different styles. An emotionally involving museum, which like a multiform and vital body every year can make and ask questions and problems, helping to start meaningful debates. This year, on the occasion of the fiftieth anniversary of Salone del Mobile, Triennale Design Museum dedicates its 4th edition to the people, companies and projects which helps to develop the structure of the Italian design, from the end of the Second World War to nowadays. “Dream Factories; People, ideas and paradoxes of Italian design” will be on from the 5th April 2011 to the 26th February 2012. Thanks to an overview of iconic objects, the exhibition aims is to show the specific activities and deep nature of the “Factories of Italian Design” (according to the curator, Alberto Alessi): the functional yet metaphisical values attached to the objects being manufactured has been explored. Another topic is to follow and understand the precious skills displayed in the design research laboratories, which fascinated so many foreign designers and brought them in Italy to live and work creatively. The exhibition has been organised following two main themes: a theoretical line stemming from the coordinator’s scientific analysis, but also a poetic approach, including the fantasy and creative genius of Lewis Carroll and Antoine de Saint-Exupéry. The design project by Martí Guixé is similar to one the many adventures occured to “Alice in Wonderland”: biographies of company and designers become alive in a dream-like and joyful feelings and exhibition, full of true emotions. What is Italian Design, then? This main question has been answered through the previuos exhibitions: The Seven Obsessions of Italian Design, Series, Off Series and The Things We Are Triennale Design Museum. 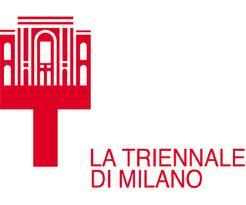 This is the reason why the Triennale is the most important museum of Italian design and a dynamic reality which experiments different approaches for its visitors. This entry was posted on Friday, March 4th, 2011 at 9:12 pm	and is filed under Events in Italy. You can follow any responses to this entry through the RSS 2.0 feed. You can leave a response, or trackback from your own site.